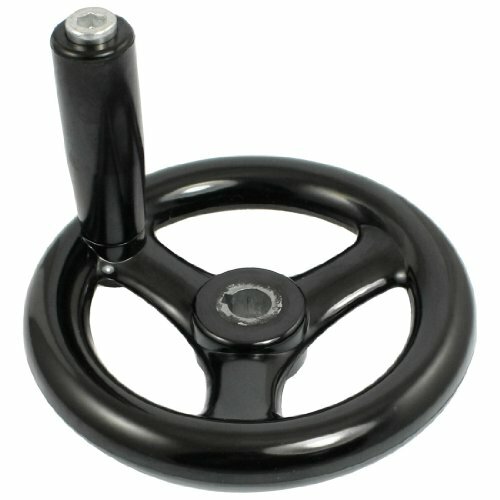 Back Ripple Hand Wheel come with removable revolving handle, hand wheel has threaded hole for easy handle assembly. Widely used in industrial machine tools, such as milling machine, lathes, grinders etc. 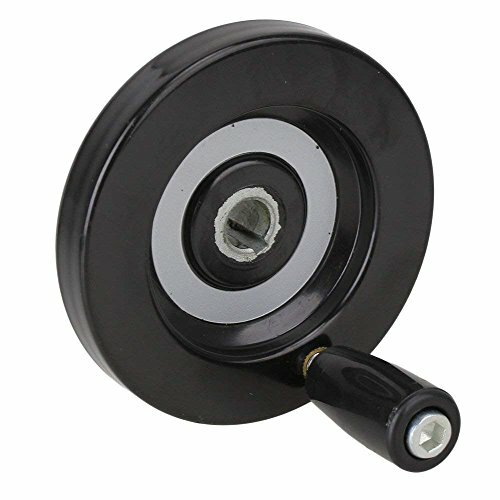 Product Name : Hand Wheel;Material : Plastic, Metal;Center Bore Diameter (Approx.) : 10mm / 0.4"
Number of spokes: 2. Material: gravity cast aluminum. Smooth mirror like polished rim adds beauty and value to your product. Handle will fold down by pulling out on the handle and pushing it towards the center of wheel. To engage handle, lift and it will snap into position. 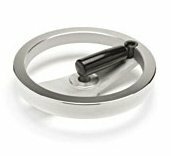 Beautiful, phenolic handle rotates freely around the durable, spring loaded, internal fold down mechanism for years of trouble free service. Rim thickness: 3/4 ". 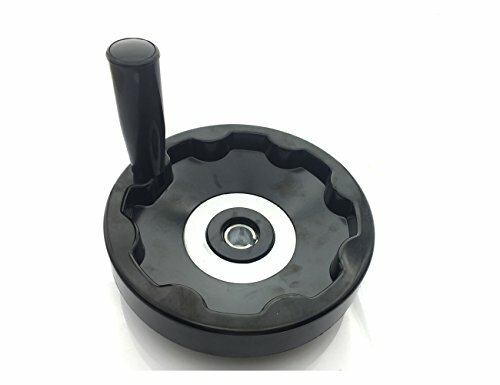 Product name: hand wheel, material: plastic, metal, center bore diameter (approx. ): 12mm/0.47", wheel diameter (approx. ): 99mm/3.9". 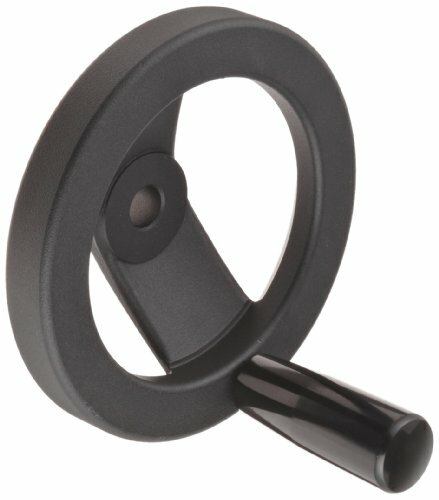 Morton standard straight hand wheel is made of cast iron. Solid hub allows for your own customs machining. 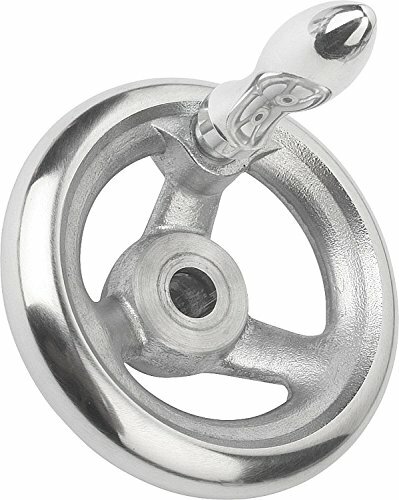 Machined handwheels include faced hub that is true with rim. 1-3/8-inches wheel height, 8-inches diameter, 7/8-inches rim thickness and 1-7/8-inches hub diameter. Number of spokes: 2. Material: gravity cast aluminum. 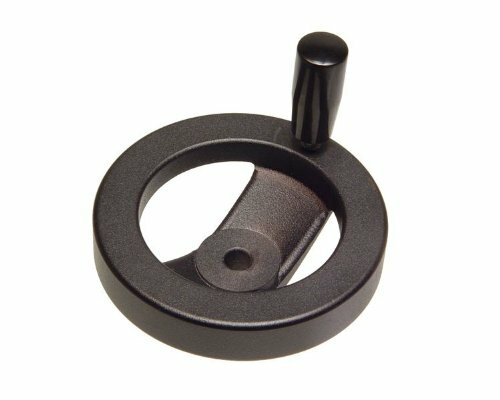 Revolving handle with a beautiful, phenolic, bottom hex socket. Smooth mirror like polished rim adds beauty and value to your product. Hole diameter: 5/8".Rim thickness: 3/4 ". 1.Commonly used in conjunction with 8mm trapezoidal screw ,can be used to control the slide operation manually. 2.Widely used in industrial machine tools, such as milling machine, lathes, grinders etc. 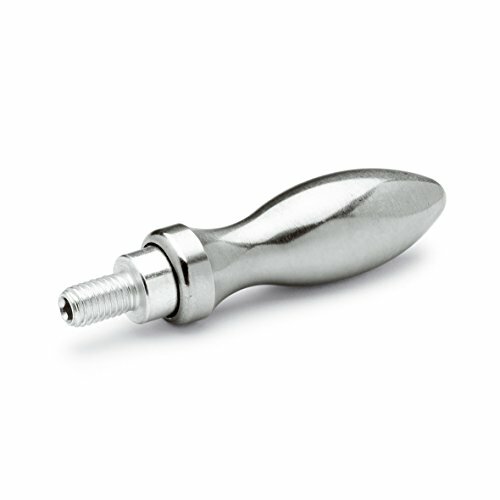 3.Design with revolving handle, hand wheel has threaded hole for easy handle assembly. 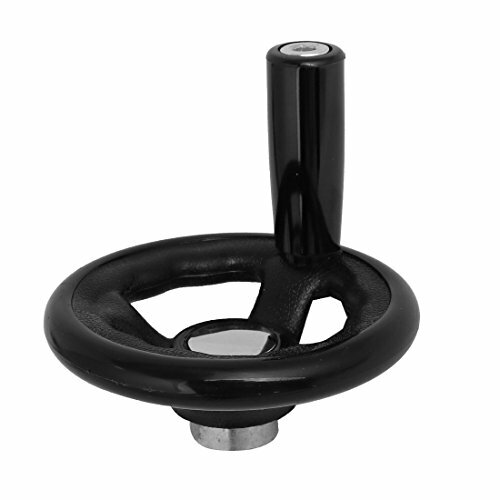 4.High-quality, modern-design Hand Wheel, polished rim. Commonly used in conjunction with 8mm trapezoidal screw ,can be used to control the slide operation manually. 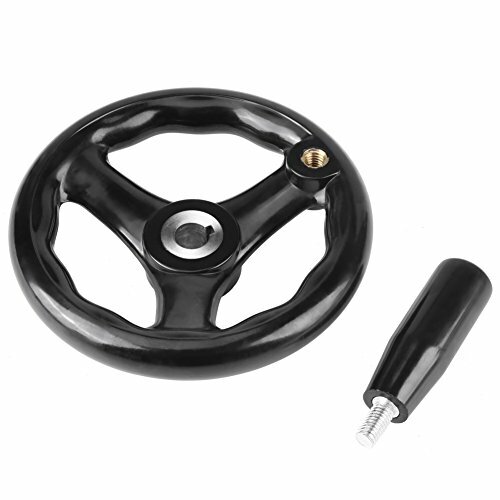 Come with revolving handle, hand wheel has threaded hole for easy handle assembly. Widely used in industrial machine tools, such as milling machine, lathes, grinders etc. Number of spokes: 2. Material: gravity cast aluminum. With revolving handle. Black Powder Coated Matte Finish. Size: 4" diameter. Rim thickness: 3/4". Black duroplast handle with steel insert. Number of spokes: 2. Material: gravity cast aluminum. 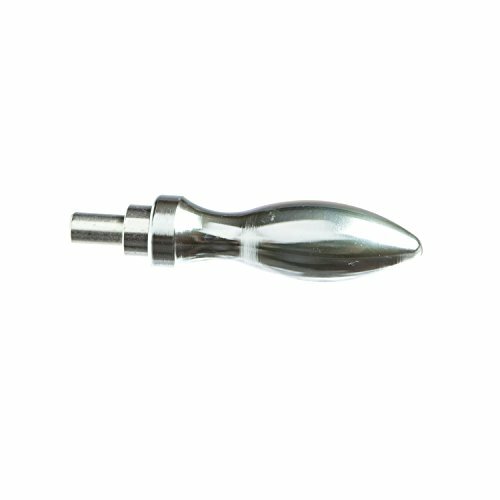 Revolving handle with a beautiful, phenolic, bottom hex socket. Smooth mirror like polished rim adds beauty and value to your product. Hole diameter: 3/8". Rim thickness: 3/4 ". Morton standard straight hand wheel is made of cast iron. Solid hub allows for your own customs machining. Machined handwheels include faced hub that is true with rim. 1-1/4-inches wheel height, 6-inches diameter, 3/4-inches rim thickness and 1-5/8-inches hub diameter. Number of spokes: 2. Material: gravity cast aluminum. With revolving handle. Black Powder Coated Matte Finish. Size: 5" diameter. Rim thickness: 3/4". Black duroplast handle with steel insert. HIGH-QUALITY MATERIALS: The lathe milling hand wheel is made of high quality plastic, modern-design, strong insulation and durable in use. 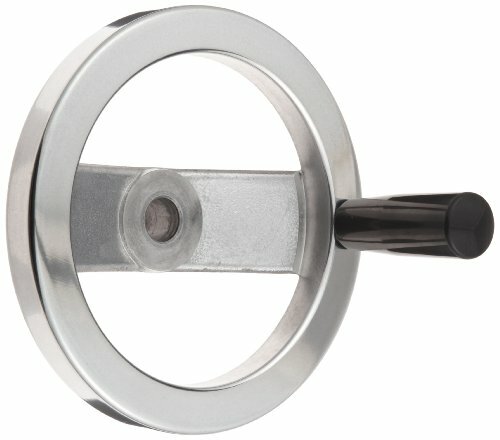 DESIGN STANDARDIZATION: These hand wheels are bored to the standard shaft diameter for their size, and are also tapped for a removable handle. WIDELY USED: It is widely used in industrial machine tools, such as milling machine, lathes, grinders etc. 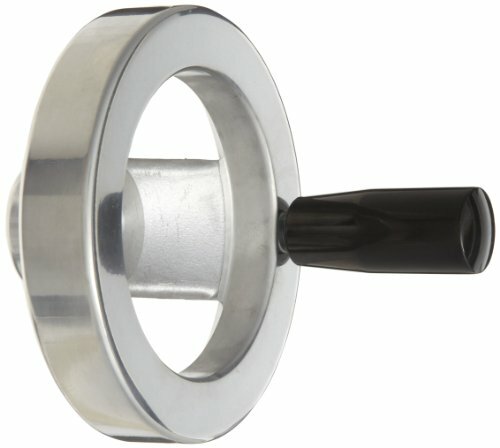 Hand wheels are ideal for any application where general or precise adjustments need to be made via a turning mechanism. 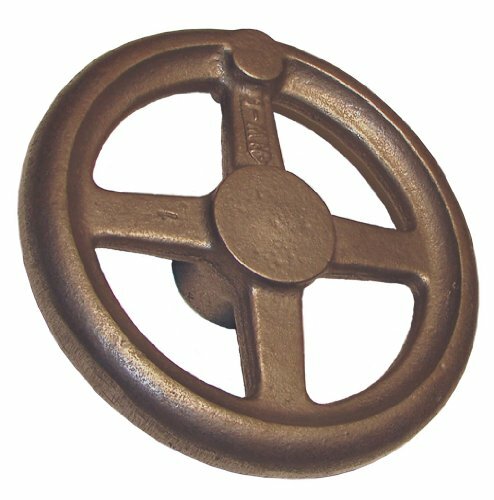 Morton standard straight hand wheel is made of cast iron. Solid hub allows for your own customs machining. 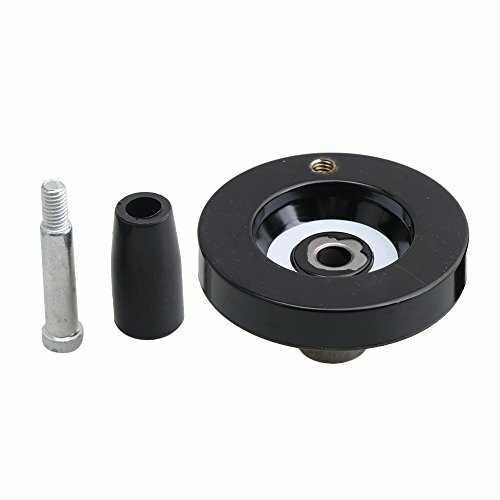 Machined handwheels include faced hub that is true with rim. 1-1/8-inches wheel height, 4-inches diameter, 5/8-inches rim thickness and 1-1/4-inches hub diameter.